It's official: Microsoft have announced Windows 9's "two release windows" as American Autumn 2014 and Spring 2015. Maybe it was my growing up in Singapore which doesn't have temperate seasons, but I always found scheduling around seasons to be counterintuitive, foreign and strange. People used to say that about me. But I digress, as I rarely do (COUGH). 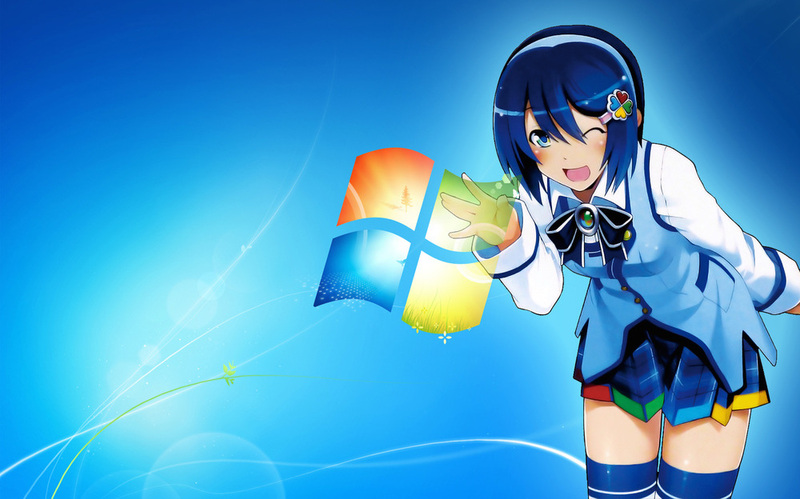 Everyone is taking this opportunity to talk about what Microsoft will do with Windows 9, and what they should do. I'm never one to shy away from a challenge of writing a post everyone else is, but first let's identify the competition. In the Will Do camp (DING! ), we have Microsoft's new CEO Satya Nadella. With his background in cloud services, Windows 9 may be more enterprise oriented and have more of an online service architecture. I parse that to mean the interface formerly known as Prince Metro will be retired, and that we'll see greater integration of cloud services. For all the lackluster response to their phones and Windows 8, Azure is on fire. In the Should Do camp (DING! ), people are saying what I've been saying for years; namely that Microsoft should pare back Windows to serve the needs of their customers. For the enterprise, it means as thin a layer to install, support and maintain as possible. For end users, it means correcting the usability regressions of Windows Explorer ribbons, inscrutable Charms Bars and improving discoverability. I belabor all these points to highlight the fact I only have one request. It may be simple, or may has potential ramifications for their entire business model that would be far more interesting to watch than reading yet another post about Metro. With potential projects and one of my last university assignments on the horizon, I've been dusting the cobwebs off my C# knowledge and getting back into .NET development. I fired up my old Windows 7 Parallels VM, installed Visual Studio and was reliving my high school life again! Unfortunately, no sooner had Parallels updated its additions and restarted the VM, Windows informed me it wasn't "genuine". Again. This time, Windows detected unacceptable changes in hardware, which required me to reactivate. Online activation failed, which forced me to type a 54 character number into a phone bot. When the activation failed again and I was told I'd be transferred to a customer service agent, I was hung up on. While I don't condone product activation as a "solution" on technical or business grounds, I can understand their suspicions about changed hardware. With the same key purchased once, it would be easy enough to install a copy, then clone to multiple machines. Whether you agree with their licencing or not, you have to accept it if you want to live and work in the Windows world. For a company with Microsoft's resources though, I've got to think there's a better solution than having their customers type ridiculous 54 digit numbers into their phones. Even if people in my situation are the exception, the sheer install base means there are likely thousands of us dealing with this every day, whether we're home users or developers or enterprises trying to maintain vast site licences. Windows 9 has to get rid of this. It may be as simple as flicking a switch, or it could mean an entire rethink of how the last major paid desktop operating system is sold. They could do it, if they wanted. I'll be watching from the wings with Nanami Madobe.